Colonel USA, Ret. Shelley Yarborough currently serves as the Director of Army Aviation Programs at Cypress International in Alexandria, Virginia, having joined the company after 30 years of service in the US Army. Shelley served in operational, program management, Army and Joint staff assignments, commanding in leadership positions through Colonel. Shelley was commissioned in the Army in 1981 as an ROTC Distinguished Military Graduate from Murray State University. In 1990 she graduated from the USN Test Pilot School, Patuxent River, and was assigned to the Army Technical Test Center’s Aviation Qualification Test Directorate, Edwards AFB as an engineering test pilot. Shelley was later assessed to the 160th Special Operations Aviation Regiment (Abn) as the Systems Integration Officer. She achieved Master Army Aviator status and has piloted more than 40 rotary and fixed wing aircraft. Her education includes a Bachelor of Science degree in Engineering Physics from Murray State University, a Masters in Aerospace Management from Embry Riddle, and a Masters in Strategic Studies from the USAF Air War College. She is a graduate of the USAF Air Command & Staff and Air War Colleges, and has earned defense acquisition workforce certifications from the Defense Acquisition University in executive program management and test and evaluation. 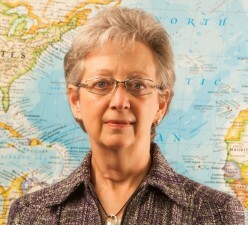 Her current community and professional associations include: The Board of Directors, Homes for Our Troops; National Executive Board Member, Army Aviation Association of America; National Board Member for the Army Aviation Association of America Scholarship Foundation; Vice President, Federal City Chapter of the American Helicopter Association; Life Member, Disabled American Veterans.